Year: 1953 Item #: 1087 Views: 4,305 Comments: No Comments. 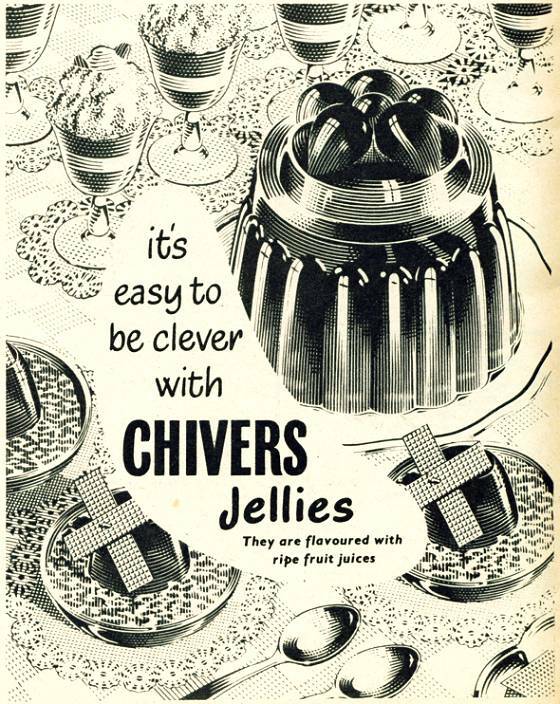 it's easy to be clever with Chivers Jellies. They are flavoured with ripe fruit juices.